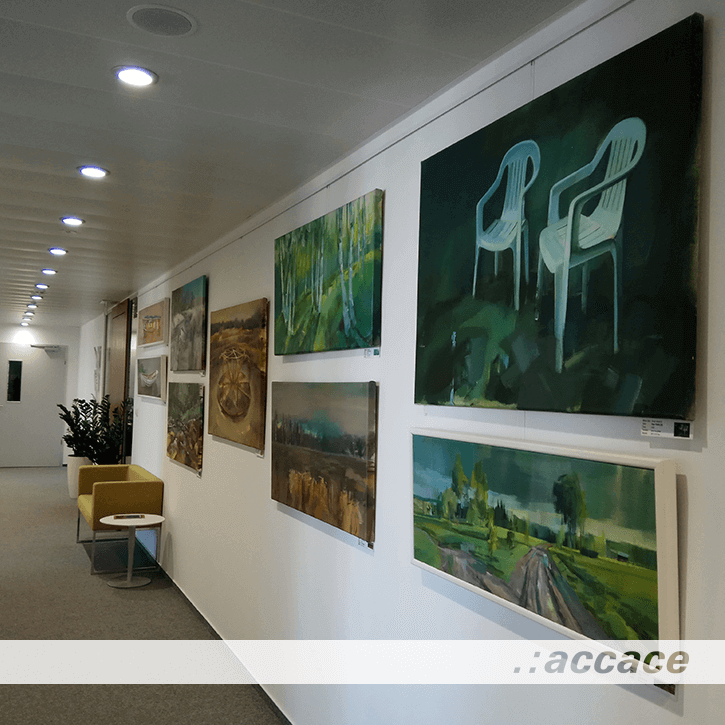 The ongoing series of exhibitions has proven to be successful, as our premises in Accace Slovakia are being enriched by new artworks for the seventh time in a row. 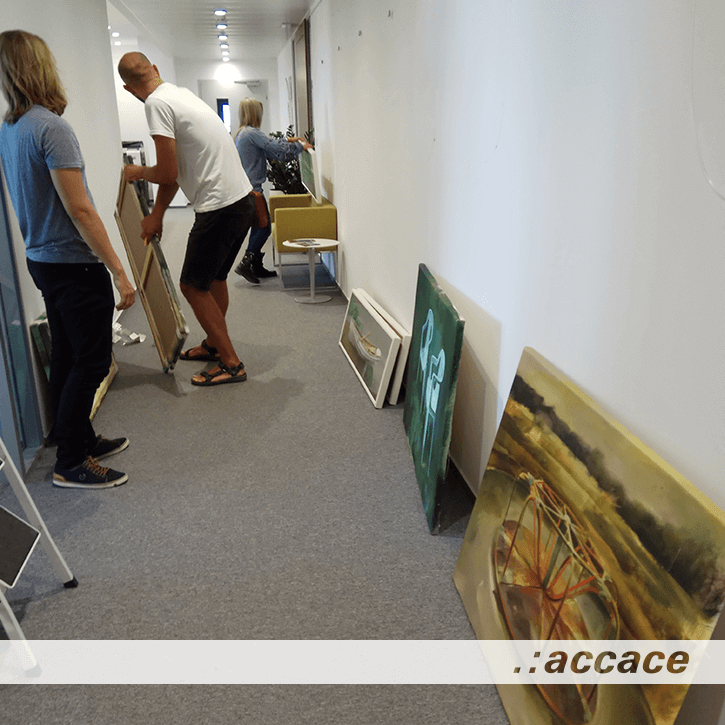 The project Office Gallery, in which Accace is participating, helps local artists to display and sell their artwork by exhibiting in various companies, while the curator Ľudmila Pašková is delicately choosing the participants for the gallery. 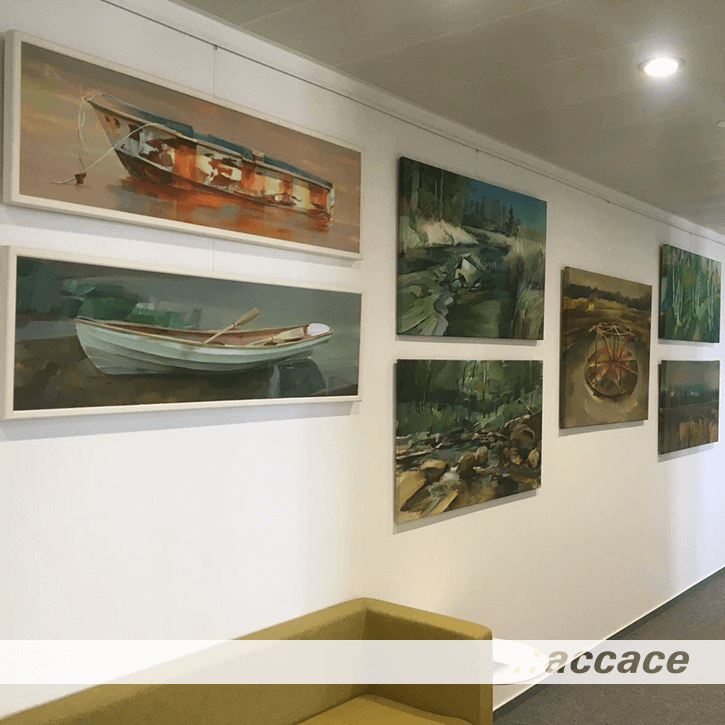 The current, ongoing exhibition from the Slovak author Peter Pauko is brightening the premises of our Slovak branch office since 28.8.2018 and will be a delightful part of our branch office till 17.10.2018. The theme seems is clear at first glance: landscape with a hint of mysticism, in green and blue hue. But behind the brushstrokes, the author expresses well-known sceneries through the eye of the “child of recent times”, himself. 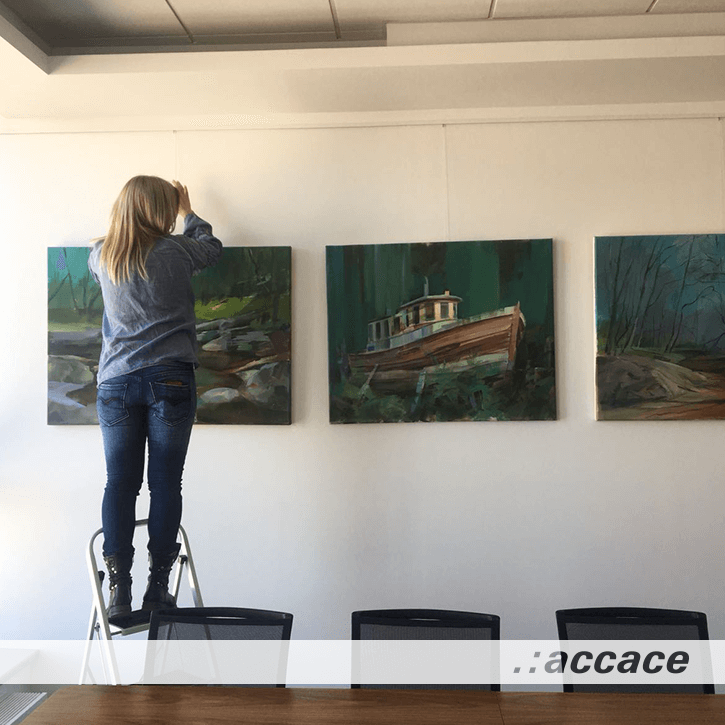 The woods, abandoned boats, 21st century countryside and objects of modern still-life effortlessly avoid the heaviness of pathos, snobbish and melancholic expressionism. On the contrary, the work of Pauko is all about balance between past and present. He is putting a bigger emphasize on stylization and technique, while the subject of painting stays in the background as an accessory. 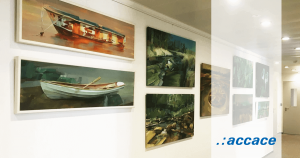 Peter Pauko is a Slovak painter originating from Martin, a Slovak city known for its beautiful location. 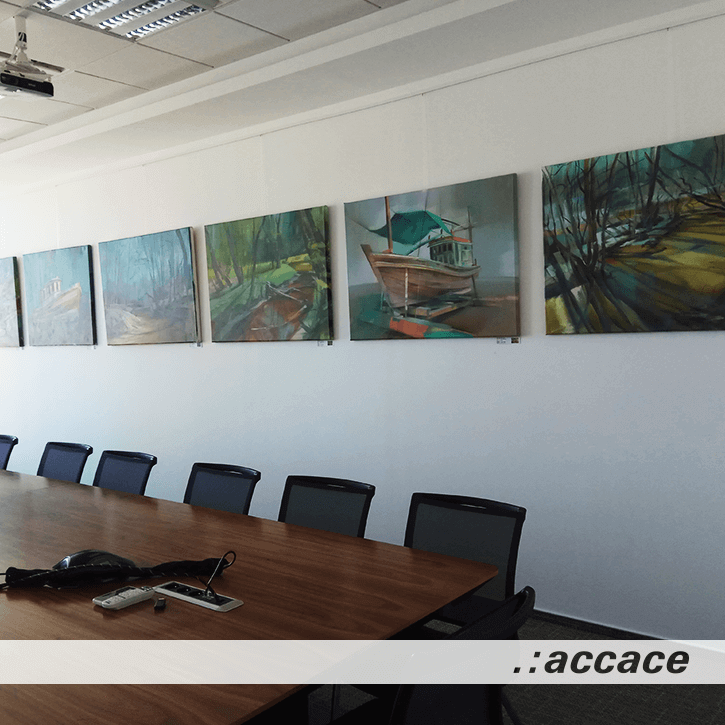 He studied at Pedagogical Faculty, Department of Art and Education in Nitra in the class of the surrealist professor Karol Baron and great Slovak artist Robert Bielik. 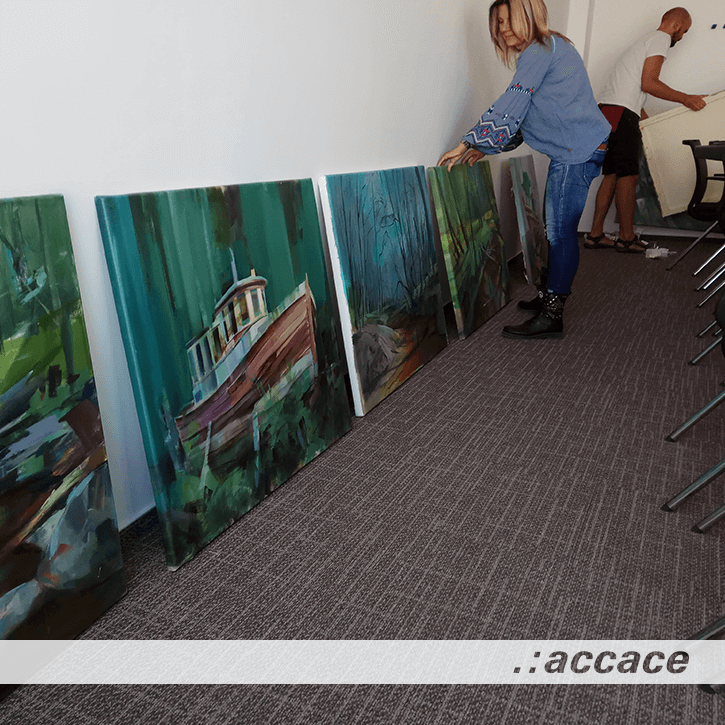 He works as a teacher in a private art school Ateliér Medea, while also being a member of art group “Club of free artists SVVU”.